Supermarkets are shops for everyday use and consumer behaviour. Museums, on the other hand, are permanent storage places for important objects that are collected, researched, exhibited and conveyed there. 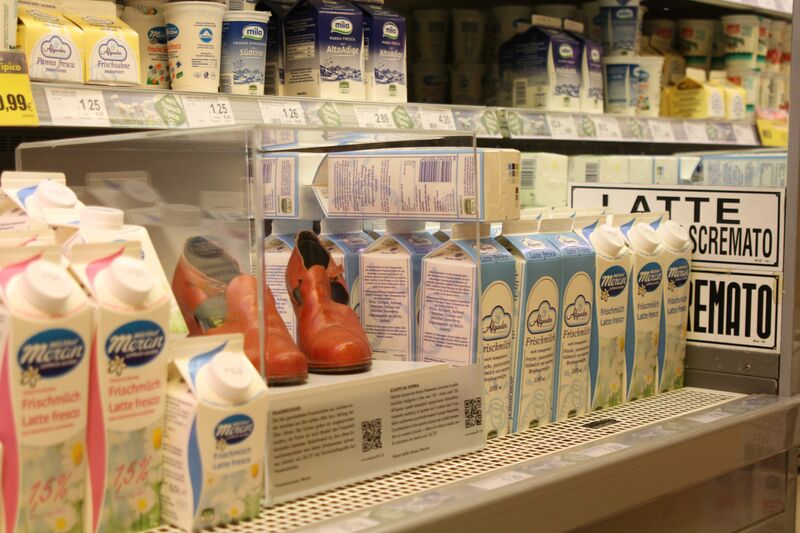 Hannes Egger’s art project „Museumsobjekte gehen fremd“ (Museum Objects Go Foreign) shifts these contexts: six objects from South Tyrolean museums are shown alternately in 12 supermarkets. In this way, the exhibits can be seen in a new and different way and reveal surprising connections.